My youngest son is at an age where he loves a thick, slick board book under his chubby hands so he can use it to ski around the living room on hands and knees. He cares little for pictures and even less for story. Growing into story takes time. In the meantime, board books provide good practice in the skills needed for reading: sitting patiently, turning pages, moving the eyes from left to right, listening, and recognizing illustrations. 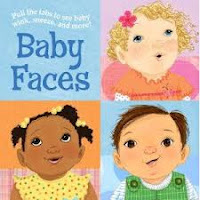 Suggested here are several great finds for baby’s bookshelf. 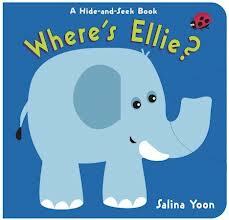 Looking for an elephant behind plants and trees is so much fun in this simple, friendly book. Eye-popping colors and cute creatures give baby lots to look at on each page. Babies are naturally drawn to the beauty of other babies. With a smiling child lovingly illustrated on each page, this book gets immediate attention. The rhyming text tells what baby’s mouth, eyes and nose can do. When the reader pulls on the tab, the baby’s face changes to show each action. It’s also fun to play peek-a-boo with this book. Dad comes home from work to a joyous welcome from his children in this happy story. 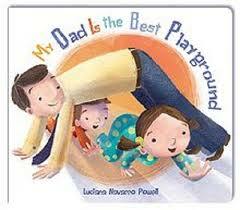 Dads and kids will want to climb, wrestle and frolic in imitation of the book. Beautifully illustrated with all the warmth and love of family, this one is a keeper. 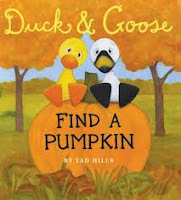 Splendid fall colors are the backdrop for darling characters Duck and Goose who go in search of a pumpkin. 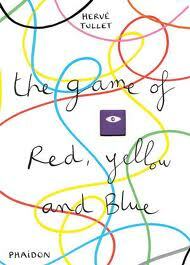 Spatial concepts of upon, under, in and on top are practiced while enjoying the simple story. The over-large size of this board book adds to its visual appeal. Duck and Goose star in seven additional board books. 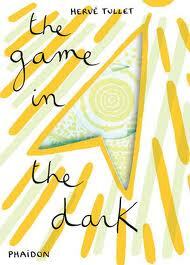 The Game in the Dark doesn’t look like much at first because you can’t read it with the lights. Charge it up under a light source and turn up the dark for an amazing glow-in-the-dark outer space show. To charge, hold each page under a light for a count of three Mississippi. Then listen to the oohs and aahs as you trip through the galaxy. There is no text, just a creative glow to encourage lights out. The Game of Sculpture is a sturdy cardboard “book” which folds open to become a modern art sculpture of your child’s design. 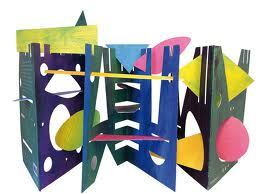 It can be folded away again, displayed, or used as a playground for your Fisher Price Little People. When you’re done, recycle it. 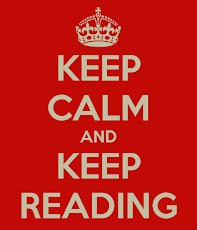 I’ve recommended Reinhart’s books before and I’m doing it again. Though this is actually a pop-up book, I must mention it because the surprise of a triceratops leaping right off the page grabs the interest of any child who is learning to follow a book. 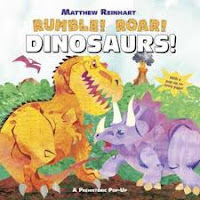 With coloring opportunities inside the cover and factual tidbits about each dino, this book will interest your preschoolers, too. 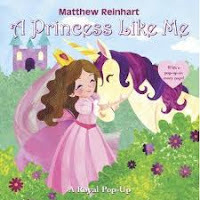 There’s also Reinhart’s perfectly nice book, A Princess Like Me. The pop-ups are great though the story is girly fru-fru and has no substance. My ignorance is showing because I had not known of Mary Blair before I got this gorgeous book, though I have definitely seen and enjoyed her work. Blair (1911-1978) was an artist who was involved in creating the enduring images in many Disney animated films such as Peter Pan, Cinderella and Alice in Wonderland. Picture, if you will, the “It’s A Small World” boat ride at Disneyland – that’s Mary Blair. 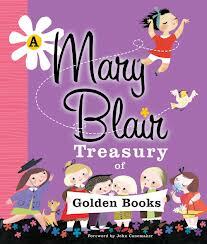 The storybooks collected in this treasury are sweet tales made all the more pleasurable by Blair’s vibrant, sunny illustrations. Her passion for her art is evident in each brushstroke and color choice. Every page is a song to the beauty and innocence of childhood. Even the endpapers will delight you. Share this treasure with your little ones; it is what picture books should be.